It has been an incredible turnaround for India. In 1991, New Delhi kick-started the economic reforms process owing mainly to the serious balance of payments crisis it was facing. Then, India -- just an inch away from defaulting on its loans -- had less than $2 billion in forex reserves (that would not even have taken care of three weeks' of imports) and had to pledge gold with the International Monetary Fund to get a loan to get out of the crisis. Today, it is the IMF that has sold gold to India to 'borrow' money to loan to poor nations! That is indeed irrefutable proof that the economic reforms that Manmohan Singh (the then finance minister and current prime minister) set in motion have borne fruit. On September 18, 2009, the IMF's executive board approved gold sales strictly limited to 403.3 metric tonnes, representing one eighth of its total holdings. India and China were seen as the likely buyers the IMF gold, given the two Asian giants' economic strength even in the face of the global recession that ravaged most economies. Many analysts were surprised at the speed with which India bought the IMF gold. 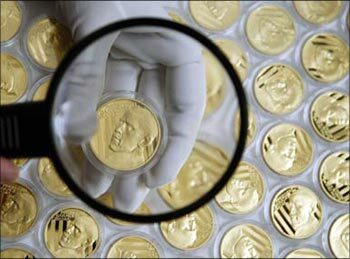 However, they believe that it is a very smart move as by buying IMF gold, New Delhi is shoring up its bullion reserves and slowly trying to hedge its bets on the US dollar which has been losing value against other currencies. 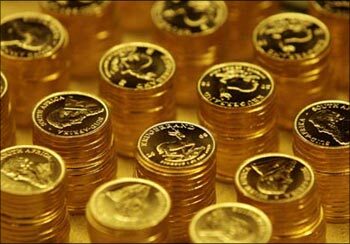 Some analysts believe that India could be buying the yellow metal to push for a larger voting share in the IMF. India has been angling for a larger say in world economic affairs and for a bigger representation in the IMF. The RBI, meanwhile, says that the buying of IMF gold was just a part of its foreign exchange reserve management strategy. The RBI paid on average about $1,045 per ounce for the gold and the transaction would be paid in hard currency and not in IMF Special Drawing Rights, the IMF's internal unit of account. IMF, meanwhile, has not given out any details on whether any other central banks had shown interest in buying the remaining 203.3 tonnes of gold on tap for sale. 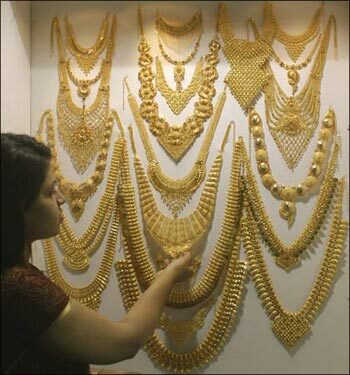 For long, China has been slowly but steadily building up its stockpile of gold and India does not want to be left behind.